It is possible to produce a SQL profile from a plan captured by AWR. A part of distribution for the SQLT Diagnostic Tool (Doc ID 215187.1) is a script called coe_xfr_sql_profile.sql written by Carlos Sierra. The only thing I would change in the delivered script, (for use with PeopleSoft and as suggested in a comment) is to create the profile with FORCE_MATCHING so that similar statements with different literal values still match. Let's take an example of a statement (from the vanilla Financials product that has not been customised) that performed poorly because it didn't generate a good execution plan (although I have cut out most of the statement for readability. Note, that it references instance 5 of PeopleTools temporary record CA_SUM_TAO. However, below is the plan we get on instance 4. We get this plan because there is already a profile that has been applied in the past, but now we are on a different non-shared instance of the temporary table, so the profile cannot match because we are on different objects, and we get the same problem, but on different non-shared instances of the temporary record. Different literal values, such as those for Process Instance can be handled by FORCE_MATCHING, but not different tables. This is a totally different SQL statement. Of course, the statement on instance 4 had a profile because it was added as a short term fix and then left in situ long term. It worked fine until a process errored, left the non-shared instance of the temporary record allocated to that process instance, and so PeopleSoft allocated instance 5 on the next execution. REM   matching the one for SQL Text below. 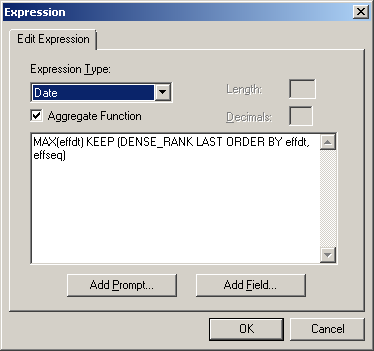 REM   Review SQL Text and adjust accordingly. REM   1. Should be run as SYSTEM or SYSDBA. REM   2. User must have CREATE ANY SQL PROFILE privilege. REM   3. SOURCE and TARGET systems can be the same or similar. REM      for the Oracle Tuning Pack. But then we must manually change the table and index names from 4 to 5. The profile has advantage that it can be applied quickly without a code change. It is the perfect tool for the DBA with a production performance problem. However, there are some other considerations. If applying to statement that references a PS temp record then we need to apply the profile to all instances of the record (both non-shared instances and the shared instance). We were lucky that we referenced instance 5 of two temporary records. However, you could get a situation where a statement references different instances of different temporary records. So perhaps instance 5 of one table and instance 6 of another. In which case, you might also get instance 6 of the first table and instance 5 of the other. A SQL profile could be needed for each permutation. Bear in mind also that some areas of PeopleSoft use dynamically generated SQL. So you get similar SQL statements which are sufficiently different for the profile not to match. Any changes to the expansion of Application Engine and PeopleCode MetaSQL on upgrading PeopleTools, or potentially even patching, will also prevent matching. There is also the challenge of dealing with code changes as the system is upgraded, patched and customised. A small code change, perhaps just an extra field in the select clause, can result in a performance regression because the profile stops matching. Of course, this challenge is not limited to PeopleSoft systems! 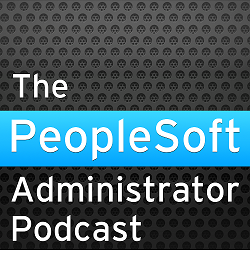 Profiles are likely to be effective if there are no PeopleSoft temporary records present. So you can generally use them in COBOL and SQR processes and the on-line application (other than in on-line Application Engine processes). I would use a profile (or a set of profiles) as a short-term temporary fix that is easier to introduce into production, and then add hints to the source code and so fix all instances of the code, not just the ones that have been profiled. Of course, that does entail a code change, and everything that goes with that. One strong argument against making code change is that you have to change the code again to remove or change the hint if it becomes unnecessary at some time in future after a significant change, such as an Oracle upgrade. However, on balance, I think it is better than the scenario where the profile stops working one day without warning. Unless you add a comment.